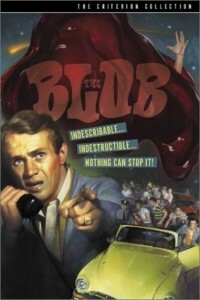 This tagline happens to be the same tagline as the 1958 classic, The Blob. If you’ve ever seen this movie, or the 1988 remake by the same name, you’ll understand instantly what I’m talking about. Think of the internet as a city, and the phenomenon that is the “Blob” as video. This “Blob” is a force that can seep through any crack and consume everything and anything in its path – all the while growing in strength and size. Eventually the entire city will be swallowed by it! And it’s coming for you… BAHAHA! … No but seriously…this is a friendly Blob, you can pet it. The fact and the matter is that Video has become an incredible force for every service provider and consumer out there. Here is a little statistic for you, “In a keynote address at CES, YouTube’s Vice President of Global Content Robert Kyncl said that video would soon be 90% of Internet Traffic (2012). 90% of the information transmitted to the brain is visual, and visuals are processed 60,000 times faster in the brain than text. (3M Corporation, Zabisco). You probably have spent hours hypnotized on YouTube with a variety of outrageously funny freak accidents, auto-tuned renditions of a serious situation, or kitties – you know you have. But you have probably already used video for a number of things that are actually important – like learning how to make something, learning a new skill, learning about a new product, learning about a new business. You use video to make important decisions, and the entire world is moving in this direction with you. Video can tell so much more about branding than text, color and design can. Video (usually) incorporates all of the above as well as audio, style, pace, and personality – a mighty powerful branding monster. If you haven’t incorporated video into your life, you need to start doing it. #1. Record a Video Resume: This is already a growing trend! Even if you don’t need it immediately, start getting yourself comfortable in front of a camera (it’s much harder than it looks). You’ll also begin to understand the aesthetics of video, the importance of lighting, sound and framing…at the very least you’ll find your best side. #2. Learn How to Provide Information in Video Format: Remember that people’s attention span for a video presently is about 2 – 3 minutes. Learning how to organize and plan for the delivery of information in this amount of time is essential! People need to know you can be trusted – and teaching people by doing, automatically does this for you. #3. Learn Video Branding: If used correctly, video can incorporate every element needed for branding development. Start exploring creative ways of developing your brand through video. [Side note… when I’m talking about your brand, I’m talking about YOU, and your identity. Learn how video can best represent you]. My advice to you is to start getting comfortable with video – it’s going to play a more direct role in your life than you are aware of at the moment. Embrace it, because it’s a good thing! Unlike the Blob which was pure evil, video is good… video is about to be your new best friend for years to come. Just you wait and see.